This comfortable 1 bedroom apartment is perfect for the solo traveler or a couple. 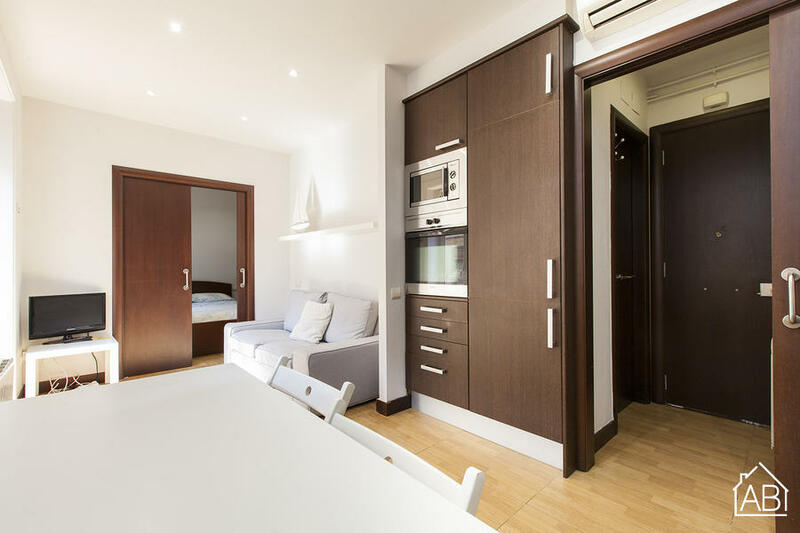 It is situated in the heart of Barceloneta, just a stone’s throw from the city’s main beach, Barceloneta. You’ll find it just a short walk from the metro station, with plenty of amenities and good restaurants in the area. With a small balcony and sea views from the side, this is the perfect place to call home for a long term stay in the city. The apartment itself is cozy and bright, complete with ultra-modern fixtures and fittings. The kitchen is designed around convenience and includes a dishwasher and utensils. The bathroom follows suit with slick fittings and clean colours. It encompasses a washing machine and climate control with both heaters and air-conditioning ensuring a comfortable stay. Modern furniture in the living room is complimented with a TV and DVD player making the apartment perfect for quiet nights in. Other essentials like an iron and coffee are also included with the apartment.